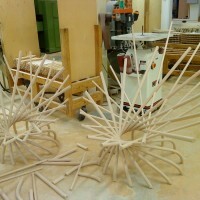 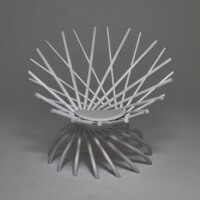 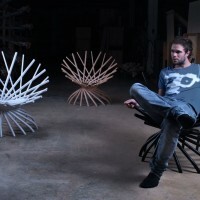 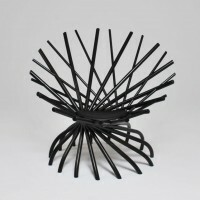 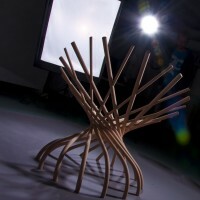 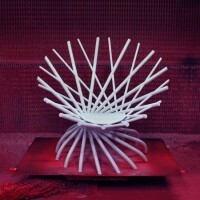 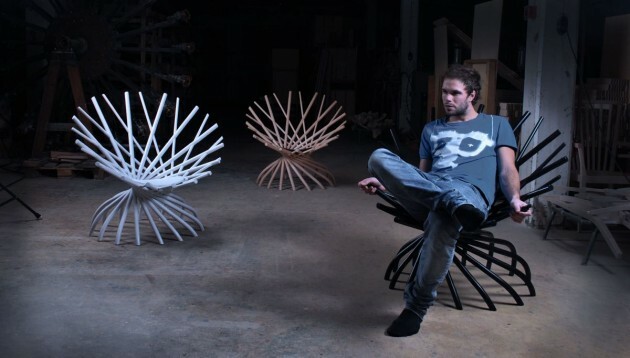 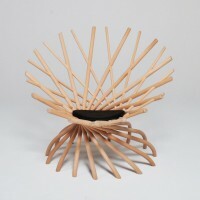 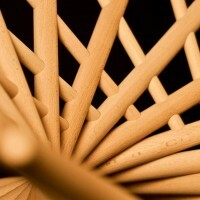 Swedish designer Markus Johansson has created the NEST Chair. 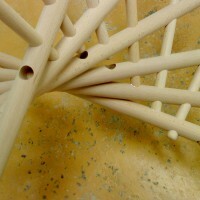 A piece of nature moves into mankinds cosy homes and breaking up straight, rigid and traditional forms, a place in the home where you can curl up to a period of rest, or for a fairy tale moment, an orderly chaos of pegs that have been transformed to both an asymmetric and symmetrical furniture. 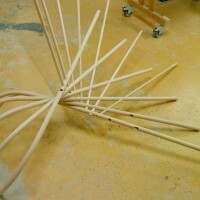 A playful and imaginative process has been the starting point to find a functional whole. 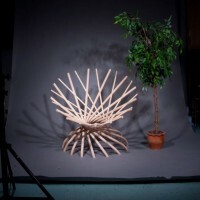 The furniture is made of flat round pieces and composed entirely of free forms without any “correct” angles, and of course, environmentally friendly, it is made entirely of wood. 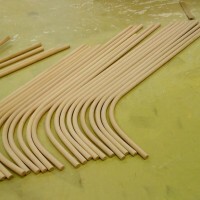 I have made use of both old and new technologies as the wide pins are bent and then drilled in a CNC machine to achieve exact fit. 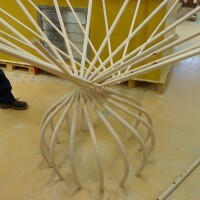 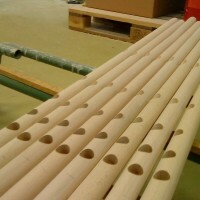 Each of the thicker round pegs are identical and are cut at different lengths to make it easy to produce.